Hand-over of first aid delivery and arrival of volunteer students – Dominican Health e.V. 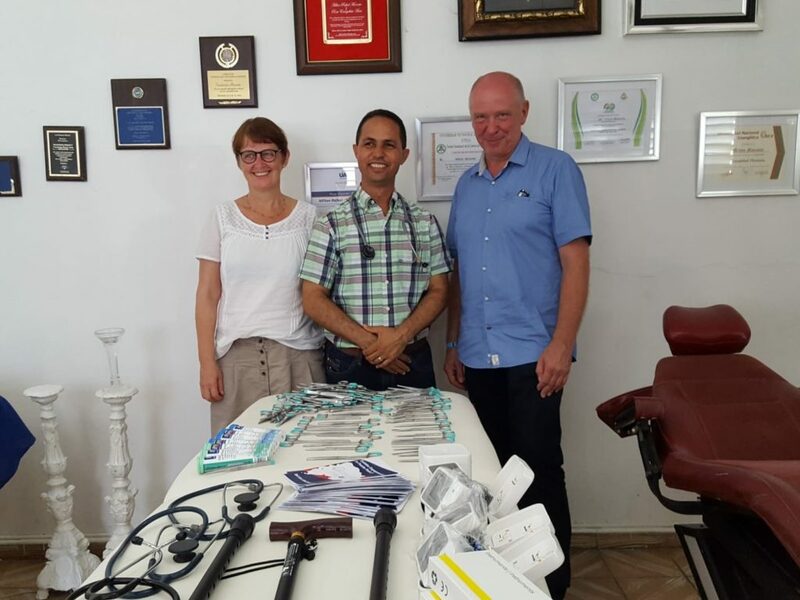 Finally, we were able to hand over the first aid items to the Fundación Padre Granero personally in Puerto Plata. Dr. Moronta was able to receive various surgical instruments, blood pressure monitors, stethoscopes, clinical thermometers, pupil lights, urine diagnostic sticks and walking aids. The aids were immediately used during several visits of the medical and nursing team to villages around Puerto Plata. In addition, the students Tatjana Springer and Corinna Steiner began their voluntary service at the Foundation in September. Until December, they will support the setup of the outpatient polyclinic in the city center of Puerto Plata and the primary health care activities in rural regions. 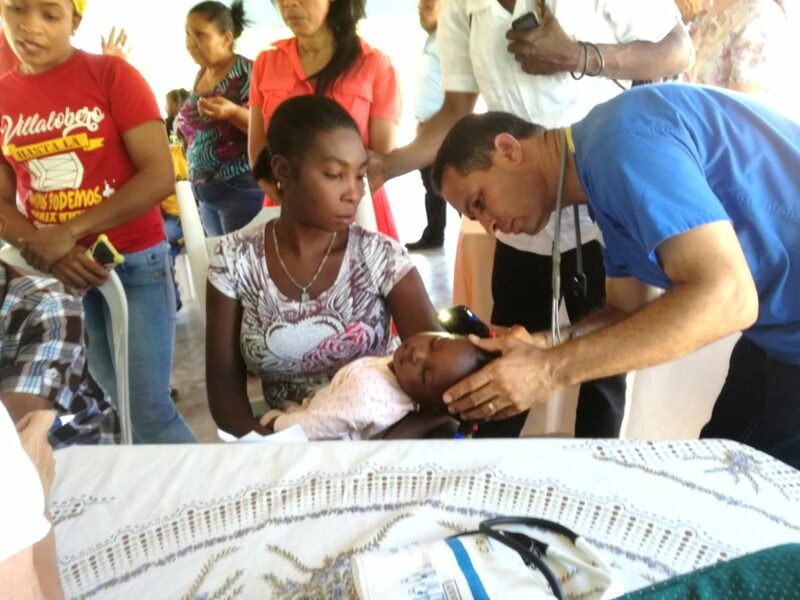 Dr. Moronta at the outpatient clinic in the community of La Guajaca. 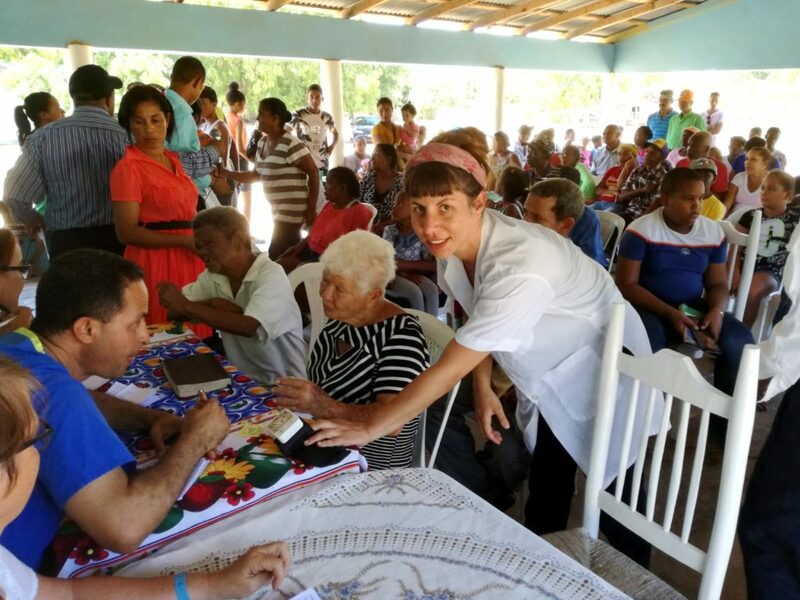 Tatjana Springer in outpatient clinic in the community of La Guajaca.